Last week in Moscow, at the Gorky park, was a snowboard contest the Adrenalin Games 2012. 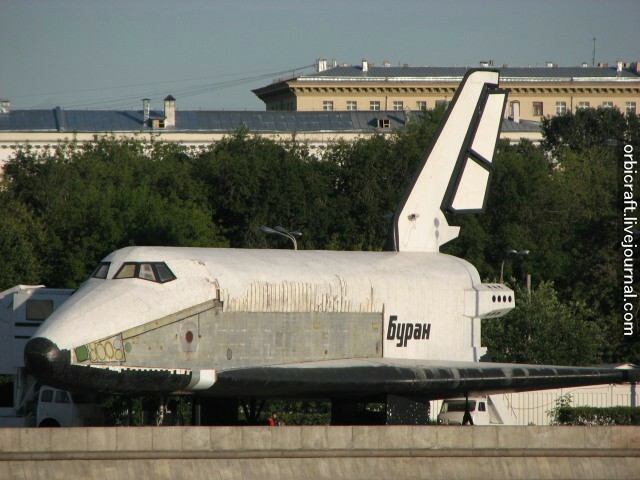 Some installations (stairs and quarters) were made for the competitor in front of the Buran OK-TVA whereas a giant screen was settled behind her. 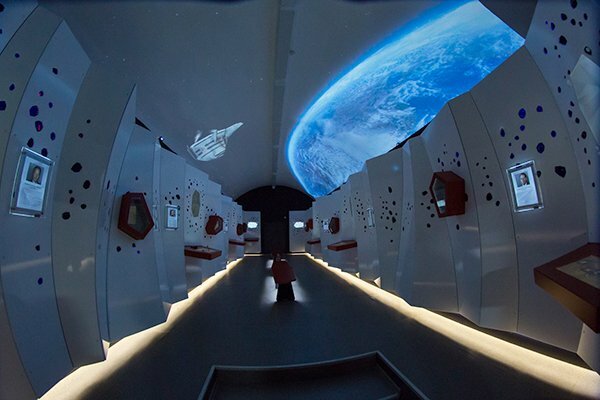 During the show animations were displayed on the shuttle and the screen giving a striking effect. Posted on: 2012-03-12 under Buran OK-TVA, Buran. 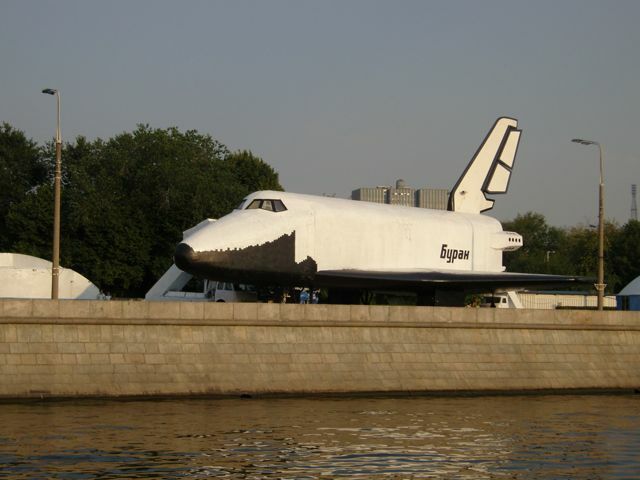 The test shuttle OK-TVA stands in the Gorky park, along the Moskva river. 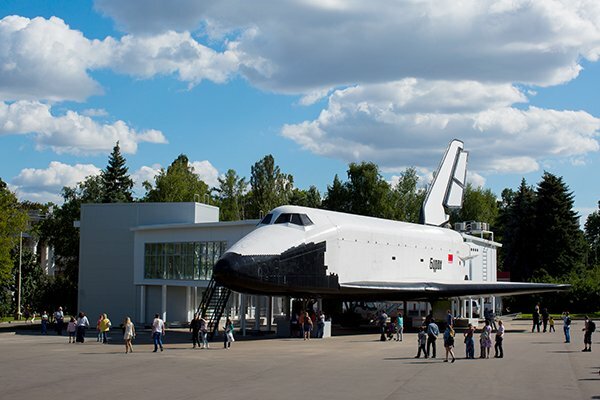 This shuttle has been laid out into an attraction for many years but is exhibited without protection and is thrown to the bad weathers, especially hards in Moscow, which ended to destroy the false thermal shield. 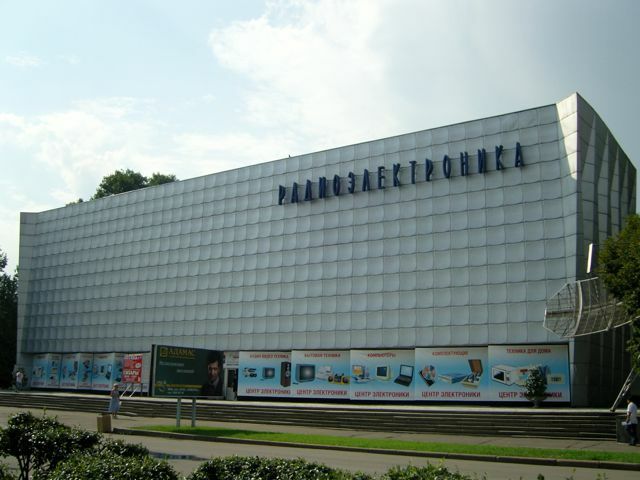 Works began during summer 2009 to restore it. We can see on the next picture that the heat shield is being torn off. Here are some pictures taken this summer. The heat shield is almost completely removed from the shuttle (workers are busy on the wing) and the tiles pattern is painted directly on the fuselage. I understand this only in a manner to simplify the maintenance of the shuttle. Indeed, it’s easier to look after painting that tens of thousands of false wooden tiles which ended to decay. Posted on: 2009-09-02 under Buran OK-TVA. The shuttle OK-TVA was a thermal, mechanical and acoustic test model. Like all others tests shuttles it was a full scale model. 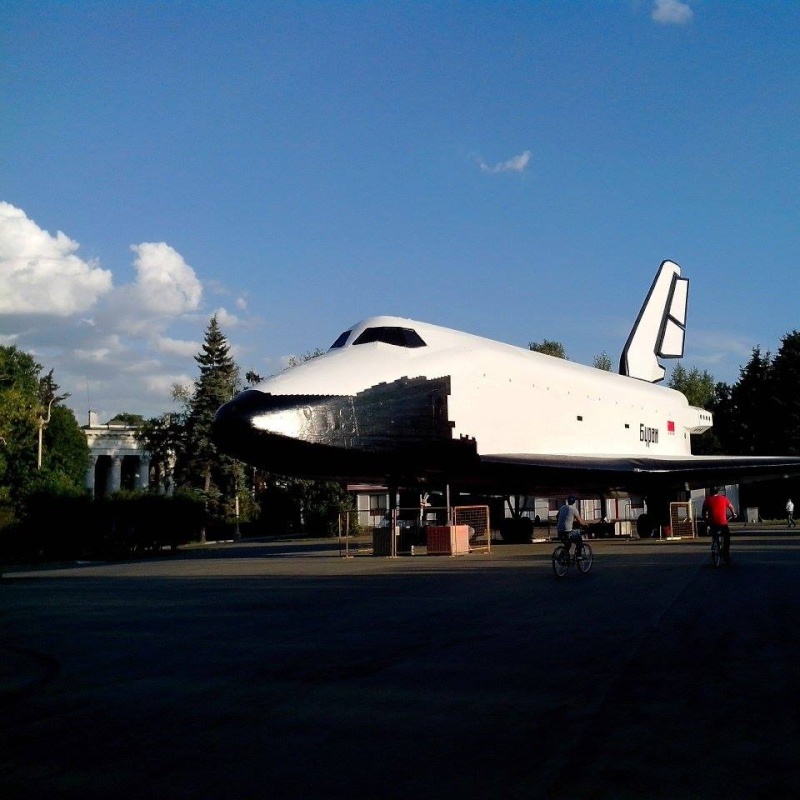 In 1997, the shuttle was bring to the Gorky Park (at Moscow) to be modified in an entertainment. Unfortunatly, it hasn’t bring enough people as it was planned and the managers have to face financial difficulties. During the month of august a part (left side) of the heat shield of the shuttle was removed, allowing us to see the fuselage in aluminium alloy. No explanations were given, but it seems that it was done for repairing the shield. 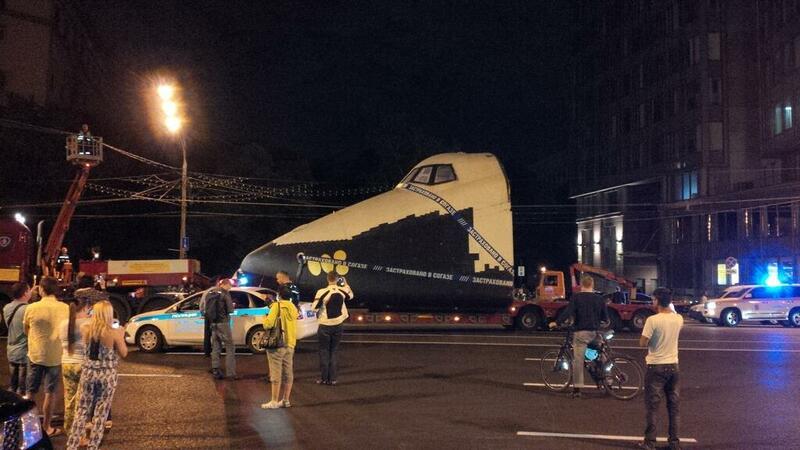 Indeed, this « shield » is not the real, it’s made from wooden pieces which decay because the shuttle is not sheltered. Posted on: 2008-09-14 under Buran OK-TVA. 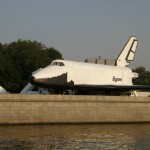 Here is some pictures of the test shuttle OK-TVA that I took in Moscow the last August. This test shuttle was used for testing the heat shield, and for mechanical and acoustics tests. 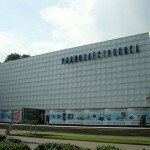 It was moved in the Gorky parc in 1997 and renovated. The tiles of the heat shield were removed and replaced by ones in wood, but the bottom on the shuttle doesn’t have any. The payload bay was fit out to a cinema room where a movie is shown, moreover the people are sitting on articulated chair which let us think that the show will be interesting (like we can see in futuristic parks). 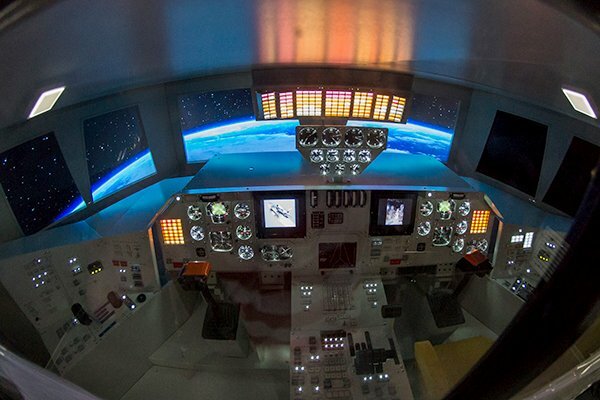 But nothing at all, the movie is not about Buran, we only see a picture of the lift off of 1988 and during 10 minutes they show us pictures of the Earth (like a Power Point presentation made by a 10 years old boy), moreover the chairs are not working ! It worth the price we payed (50 rubles to get in the park + 50 rubles for this « show »), around 5 US dollars, but they could have made something much better ! 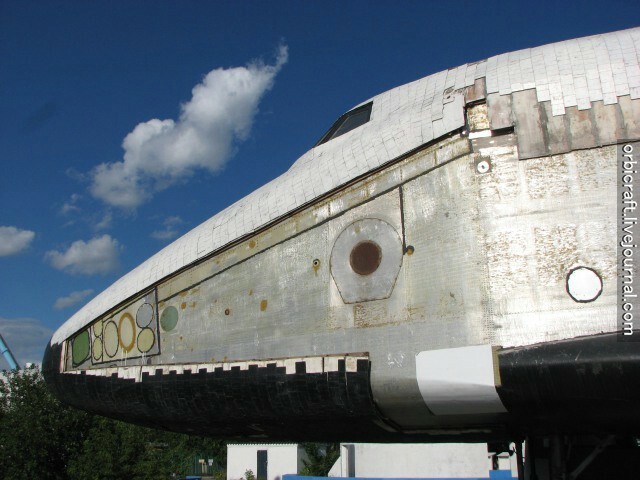 Posted on: 2007-09-15 under Buran OK-TVA, Web Site.